Himalaya Rock Salt is suitable for all purposes and provides Well-Being & Physical Health when used properly. The positive effects of Himalaya Rock Salt is known in India for over 6000 years and it is widely used in Ayurvedic Medicine. Over the last few years this precious "white gold" has been introduced to the western healing community with incredible, positive effects and results! Himalaya Rock Salt contains all 84 chemical elements that make up "real salt" and that can also be found in the human physical body. This IS why real salt IS together with clear, energized water, the basic substance that the human body needs for keeping its balance, hence its vitality and health! All salt that comes from the wider Himalaya regions including the Indus Valley which is located in Pakistan is usually called "Himalaya salt", although this is not a very precise labelling, because the Indus mountains may only a little inprecisely be considered as "fore hills" of the Himalaya mountains but still, it is not really the Himalayas where the salt actually comes from! To say it in clear words: Practically all exported Himalaya salt is not coming from the high Himalaya mountains but instead from the Pakistani Salt Range area which is the second biggest salt reservoir on our planet. Anyone claiming to sell salt from the Himalaya mountain tops is 99,9% not telling the truth and simply trying to justify high prices behind Himalaya myths... So we are clearly saying that all our Himalaya salt (and 99.9% of all Himalaya salt on the world market) is really Indus salt, although we will also keep the brand name “Himalaya” as everybody knows this type of salt under this specific name. We want our friends and customers to be up-to date and informed on this origin issue of the Himalaya salt. We provide 4 different types of Himalaya Salt in packaging 500gr, 1000gr and 25kg and we give you special offers for 10x1kg packs. 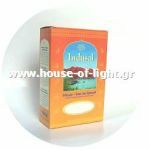 Please contact us in order to find the best and most suitable for you way of shipping (only within Greece), thank you. 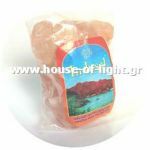 Order here your personal supply of fine, white-rose House of Light Himalaya Salt, recommended and used by Ayurva Medicine! It is THE ideal salt for all purposes! 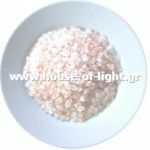 Order here your personal supply of granular, white-rose House of Light Himalaya Salt, recommended and used by Ayurva Medicine! It is THE ideal salt for all purposes! 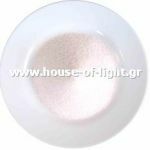 Order here your personal supply of granular, white-rose House of Light Himalaya Salt, recommended and used by Ayurva Medicine! It is THE ideal salt for all purposes, also for Feng Shui! 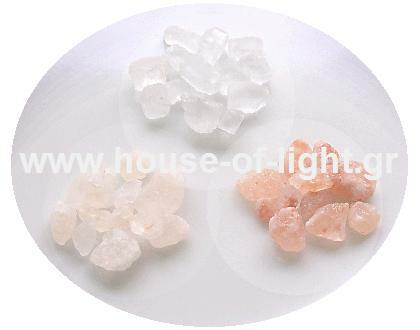 Order here the very best House of Light Himalaya Salt: The clear "diamond" salt crystals which have the highest bio-energy level! Ideal for all purposes, especially for healing and Feng Shui. Recommended and used by Ayurveda Medicine! 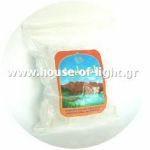 Order here your personal supply of granular, white-rose House of Light Himalaya Salt, recommended and used by Ayurva Medicine! It is THE ideal salt for all purposes, perfect for your salt mill!